Well loved for many years, this well cared for brick two story home with partially finished basement is now listed for sale near Shawnee Park. Home features all the charm and character a property in this highly desirable location provides. 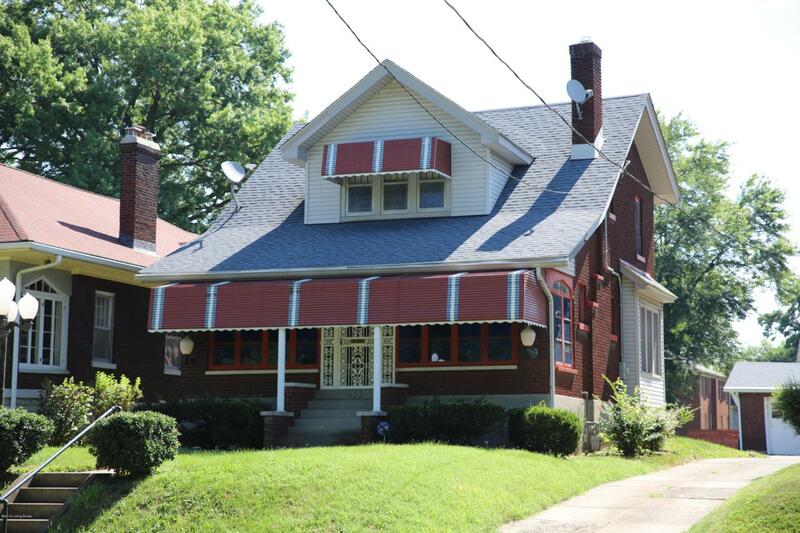 Situated across the street from Historic Shawnee Park and could be the home you have been looking for. Enter the front through the screened in porch with ceiling fan and tinted windows. Large living room with fireplace (hardwood under carpet). Formal dining room with ornamental glass french doors, kitchenette, kitchen with refrigerator and stove. Three bedrooms upstairs, full bath with whirlpool tub, central air. Basement is dry and open ready to finish with laundry area, full bath and open area has many options. Exterior has a screened in backporch and a one car detached garage, shared driveway and fenced in back yard. Roof new 2009. If you are looking for a move in ready home in a great neighborhood you are in luck. Don't hesitate to call. Sold As Is. Listing provided courtesy of Pml Real Estate Group Llc. © 2019 Metro Search, Inc. All rights reserved.